Nicole Krauss was in Dun Laoghaire this week to promote her new novel, Forest Dark. NOR asked about the received wisdom that writers are somehow outside society. 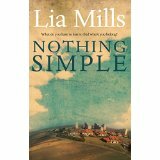 She went on to suggest that a novel makes sense of things that are not necessarily coherent to start with. Chaos, she said, is the truth that narrative must betray. She said that we’re all fiction writers in the sense that we’re constantly telling ourselves stories about our lives, creating ourselves through narrative. They had an interesting chat about the title. NK originally wanted Gilgul, a Hebrew word suggesting a mystical idea of transformation. She was talked out of it by people who said the term was too obscure, although she pointed out that everyone knows what a golem is since Isaac Bashevis Singer published his story. Since the novel came out, she’s heard the word Gilgul used in different contexts; it’s a word that wants to get into the language. But she’s happy with the title Forest Dark, a reference to Dante’s Inferno. The forest is a mystical place, she says. In Shakespeare the forest is where characters go to find their magic. It’s a place of danger & possibility. NOR asked about Nicole the character, who has obvious similarities with Nicole the writer – was that inhibiting? NK said that she’s used to that already, any writer is. People think things about other people all the time; this happens to all of us – you’re aware of those ‘public realities’. There are other versions of you out there in the world, different to what you think is your reality. ‘A lot begins with one’s emotional origins I had four grandparents, all deeply affected by the Holocaust … I grew up hearing those stories. I went with my grandfather to a small village in Hungary where nothing he remembered was left. This nothing is where x was; this nothing is where y was … I knew that a reality can be cancelled. Europe, the United States, Israel, are always changing There is no commitment to any one geography. So, what is home? NOR asked what it’s like to live in Trump’s America. NOR asked if it’s fair to compare America now with the rise of the Third Reich in 1940s Germany? NK: The world has changed. We live in a different moment. The US as a global power is in decline and there’s a backlash against that. There’s an over-simplification of the language of politics.’ In urgent situations, she said, something breaks. She spoke about the psychology of dictators and how because of social media, the psychology of Trump is so available, accessible to everyone, it’s in the palm of our hands in this intimate way, on our phones, all the time. She talked about the importance of being precise in how we use language, not to incite a violent response. We need to turn ourselves around, to say: hang on, we need to consider more, we need to think more, take more responsibility. They talked a lot about Kafka. NK said a great thing, about how Kafka leads us out on a sentence and next thing we’re on a precipice, but there’s a view of infinity. That’s why we go to art, she said, for a view towards the infinite. It’s more important than ever in a time like ours. Writing is hard, she said, but also – what a gift it is to be captain of your own mind and free to think your own thoughts. The first question from the audience was bizarrely insistent on knowing what hotels NK may have stayed in in Tel Aviv, what synagogue she might attend. It took a while to disentangle ourselves from that one, but the next questioner asked if NK ever becomes overwhelmed with her ideas. Writing, for Nicole Krauss, is a way to find serenity. Nicole Krauss was in Dun Laoghaire as part of the dlr Library Voices series curated by Bert Wright. Forest Dark is published by Bloomsbury. This entry was posted in Events, Novels, On Writing, Uncategorized and tagged Bert Wright, Bloomsbury, Dante's Inferno, dlr Library Voices, fiction, Forest Dark, Gilgul, golem, Holocaust, Isaac Bashevis Singer, Kafka, Keats, language, Nadine O'Regan, Negative Capability, Nicole Krauss, Obama, Shakespeare, Social Media, Third Reich, Trump. Bookmark the permalink.